For checking and adjusting the ignition timing. 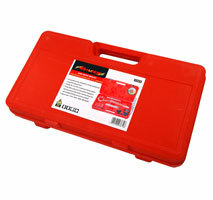 Suitable for all 12V petrol engines where it is possible to adjust the ignition timing. Ignition signal via cable of first cylinder. 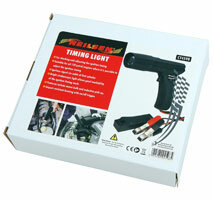 Bright stroboscopic light allows good readability of the ignition timing mark. 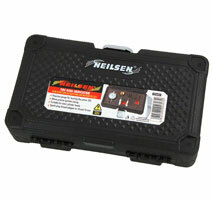 Features include xenon bulb and inductive pick-up. Voltage - 12V / 10W. Test rotation speed and advance angle. for chain drive 1.3 diesel engines. 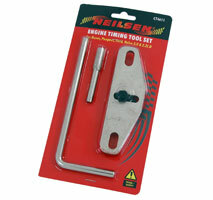 Set includes a tension locking pin. setting camshaft and crankshaft timing position. 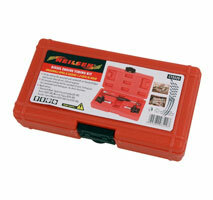 Suitable for 1.8 | 2.0 and 2.5 chain drive diesel engines. 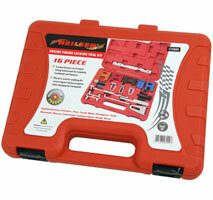 for Single and Twin Cam belt drive petrol engines. Also Rover B / D / F and H series engines. and Bolt to lock cam belt tensioners. For Camshaft / Crankshaft and Flywheel Locking. on Ford / Peugeot / Rover / Volvo - 2.0 | 2.2LD vehicles. 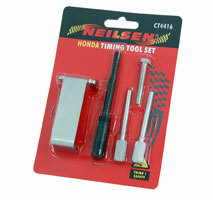 for Ignition Timing Adjustment on most Motorcycles. with 10mm and 14mm Spark Plug Adapters.